I'll have to be quick, If I don't post this in the next 20 minutes I'll have missed another tuesday with this thing and I'd like to keep it running regularly. Today's episode features someone I stumbled across just this week. John Jennette is an animator/graphic artist living and working in New Jersey whose ongoing Houses of Westeros project is remarkable in its breadth. 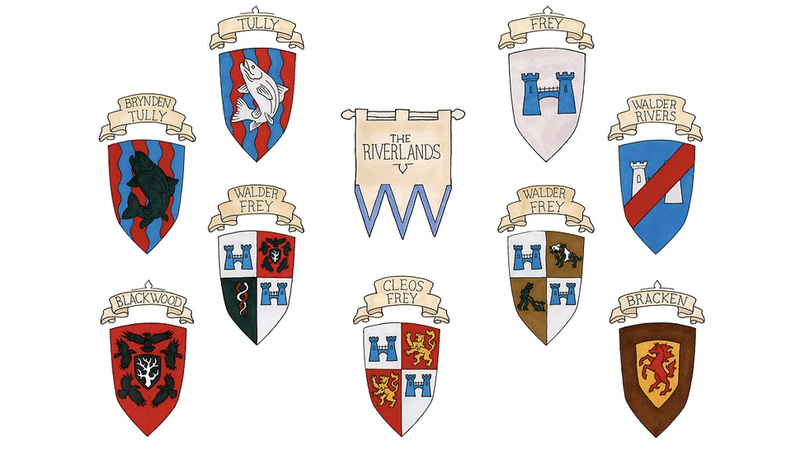 He plans to illustrate all of the house sigils from George R R Martin's A Song of Ice and Fire series and posting once a day he'll be at it until October. As a lover of minutae, I wanted to get my hands dirty designing banners for ALL of the players on the stage of Ice and Fire, as accurately as I can. This doesn’t include every single banner described by G.R.R. Martin, but it covers pretty much any House that’s touched on in the books.